Find everything you need to know for your trip to Grand Canyon West. Prepare for your trip to Grand Canyon West by reading our FAQs below. Here, you can find information about everything from our hours and shuttle service to what to pack for your stay. Are pets allowed at Grand Canyon West? Pets are not permitted on tours or allowed to be left in parked cars. Pet accommodations are available at the Hualapai Ranch (fee applies). Service animals are permitted on tours. The nearest major commercial airport is McCarran International Airport in Las Vegas, Nevada. Las Vegas is 2½-hour drive from Grand Canyon West (30-minute flight) or a three-hour drive from the Hualapai Lodge. Where is the nearest gas station to Grand Canyon West? There is a gas station at the Star Market on Pierce Ferry Road in Dolan Springs or at the Last Stop Grand Canyon Tour Center on the 93 at mile marker 23. You can also get gas at Grand Canyon West in an emergency. 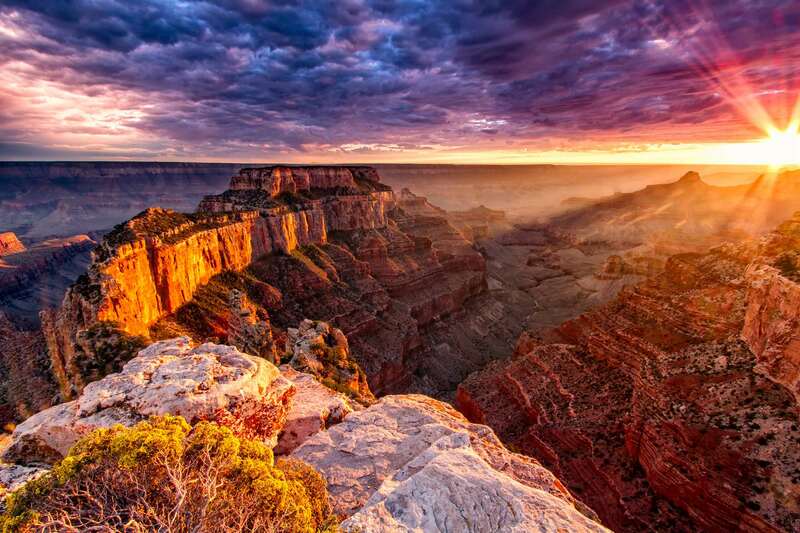 Where is the nearest accommodations to Grand Canyon West? Is Grand Canyon West part of the national park? Grand Canyon West is not part of the Grand Canyon National Park, located five hours away. Grand Canyon West is on the Hualapai Native American Reservation and is owned and operated by the Hualapai Tribe. Can I take my Cell Phone/Camera on the Skywalk? We do not allow any personal items such as cell phone, cameras, purses, backpacks, etc. onto the Glass Bridge. We do provide a free locker for you to store your items while you are on the Skywalk. If you are driving yourself to Grand Canyon West for the day, reservations are not required. Reservations are required for overnight stays (to ensure availability), rafting excursions, and tours that include transportation to Grand Canyon West. If I drive to Grand Canyon West without making a reservation, will I be turned away? 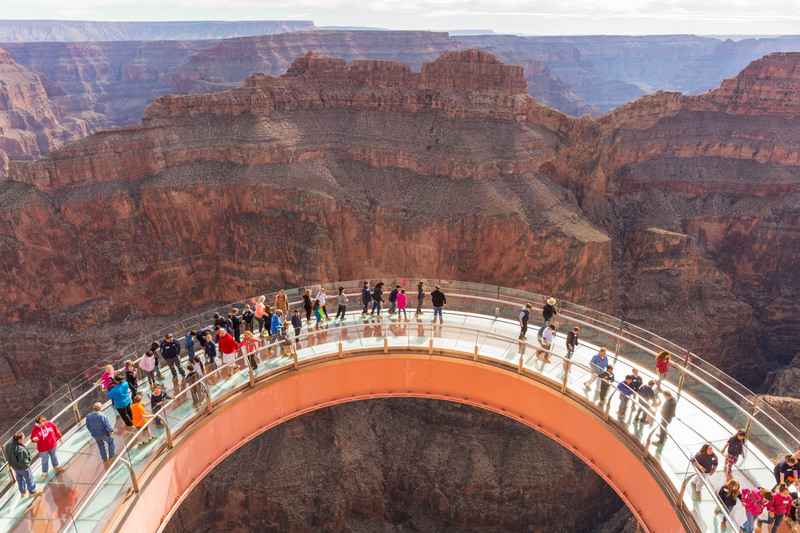 No, we do not limit the number of visitors to Grand Canyon West. However, the last tickets are printed two hours prior to closing. Do I have to get my Picture taken by your photographers? 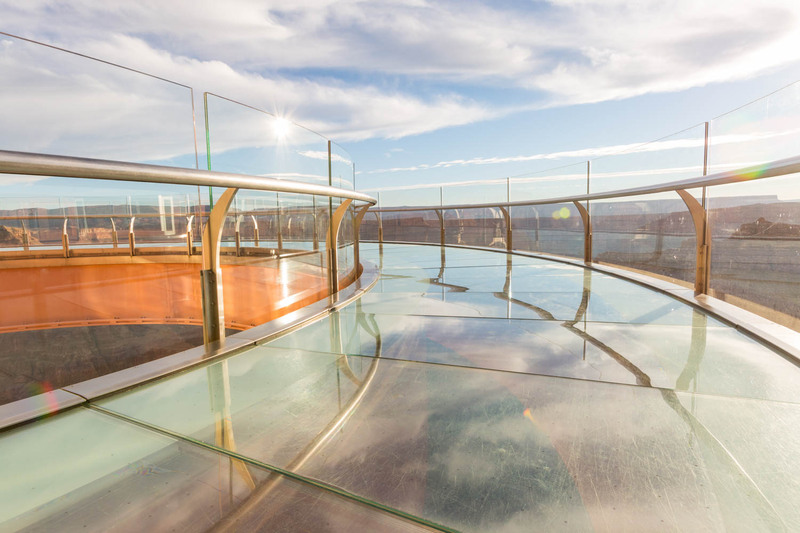 If you would prefer to not have your picture taken you can simply walk out onto the Skywalk and enjoy the view. We allow you to take your time on your walk and ask only that you be mindful of those who do choose to have their pictures taken. What is the Zip Line cancellation policy? How long should I plan on being at Grand Canyon West? 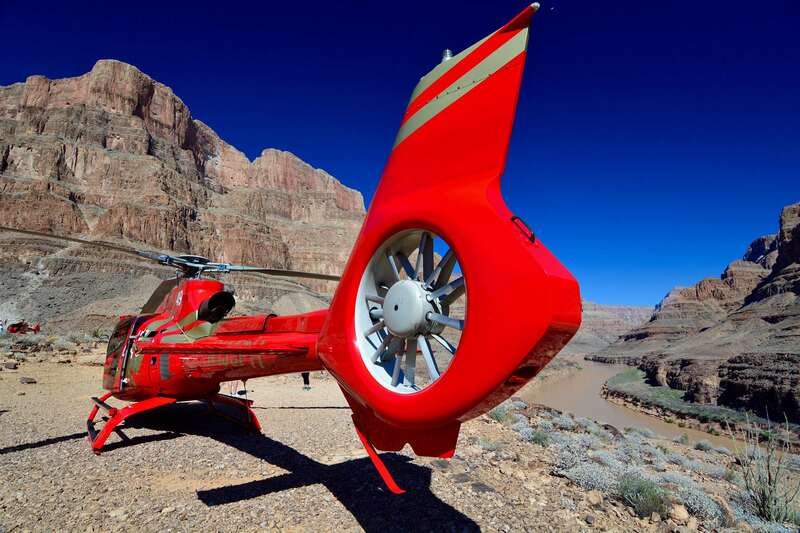 We recommend that you arrive in time to spend at least four hours to fully experience Grand Canyon West. If you are in a hurry, it can be done in three. What is the weather like at Grand Canyon West? The weather is very similar to the weather in Las Vegas. It is approximately 10 degrees warmer in the spring and summer and 10 degrees cooler in the fall and winter. Can I bring food and beverages to Grand Canyon West? Grand Canyon West offers a variety of meal options. Bringing outside food and beverages to Grand Canyon West is not permitted. Is there an address I can put into my GPS? Grand Canyon West does not have a Postal Address. Most GPS systems will identify the Location by entering either "Grand Canyon West" or "Grand Canyon West Airport." If the GPS tries to take you to Peach Springs then try updating your system. You can also use the Lat. & Long. or Map Code listed below. For accurate directions, visit our Directions page. What is the Legacy Package? The Hualapai Legacy Package is the basic entry package to Grand Canyon West. It is a self-guided tour of all points of interest at Grand Canyon West. 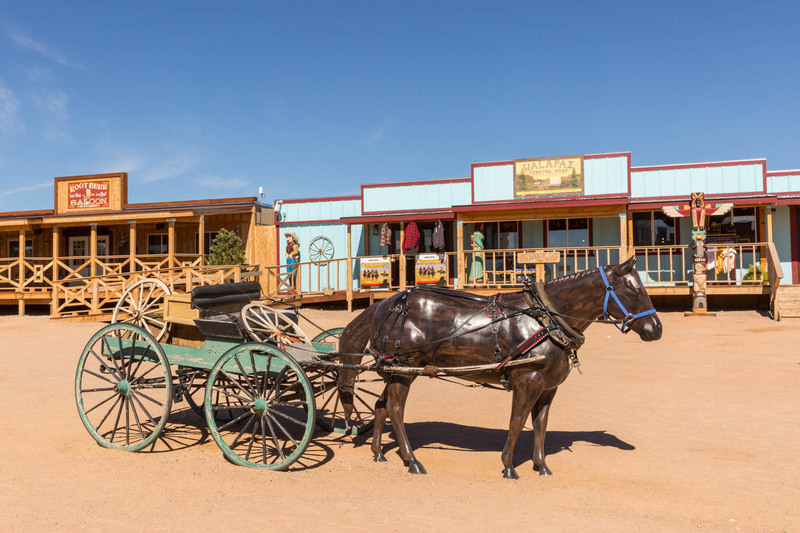 Included in this package are the live performances, scenic viewpoints, cultural activities, a wagon ride, and more. Unlimited use of the hop-on hop-off shuttle is included in this package. 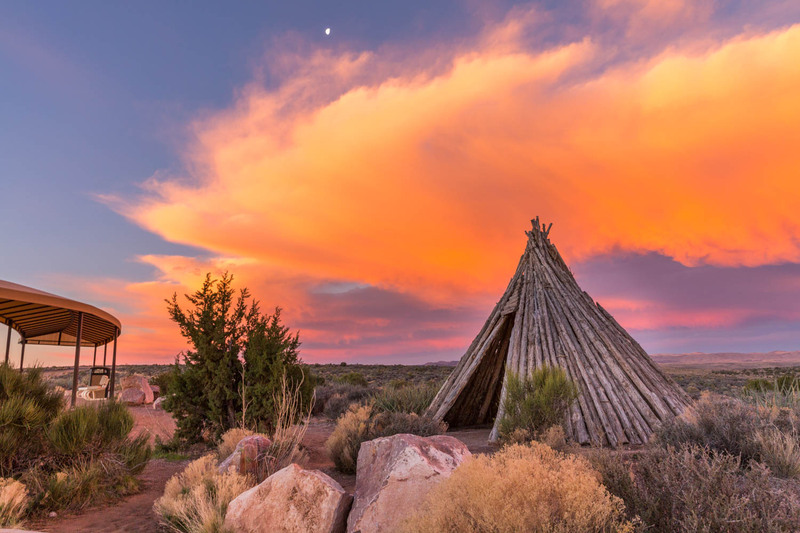 Grand Canyon West is privately owned and operated by the Hualapai Tribe and requires the purchase of a permit and Legacy Tour package for entry. Do I have to purchase the Legacy Package? 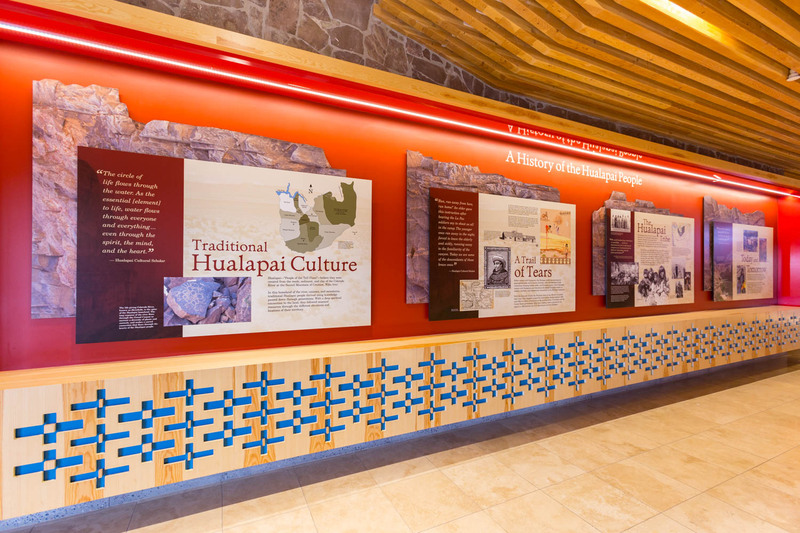 Every visitor to Grand Canyon West is required to purchase the Hualapai Legacy Package. Optional activities, such as Skywalk, helicopter/boat tours, Zip Line tours, and horseback riding, can be purchased at an additional cost. I want to drive my own car to the Skywalk. Do we have to use the hop-on hop-off shuttle? Transportation by private vehicle is not permitted at Grand Canyon West. We provide parking for your vehicle and hop-on, hop-off shuttle service to take you from point to point. Can children walk on the Skywalk? If children are old enough to walk on their own, they are permitted to walk on the Skywalk. Will I have to walk a lot? You will not have to do a lot of walking. There are many areas where you can sit down at each point of interest and the hop-on hop-off shuttle can transport you between points quickly. There is a moderate hike at Guano Point called “Highpoint Hike,” which has a beautiful panoramic view of the Canyon and Colorado River. There is also an easy hike down to the edge of the Canyon where you can see the remnants of an old guano mine. 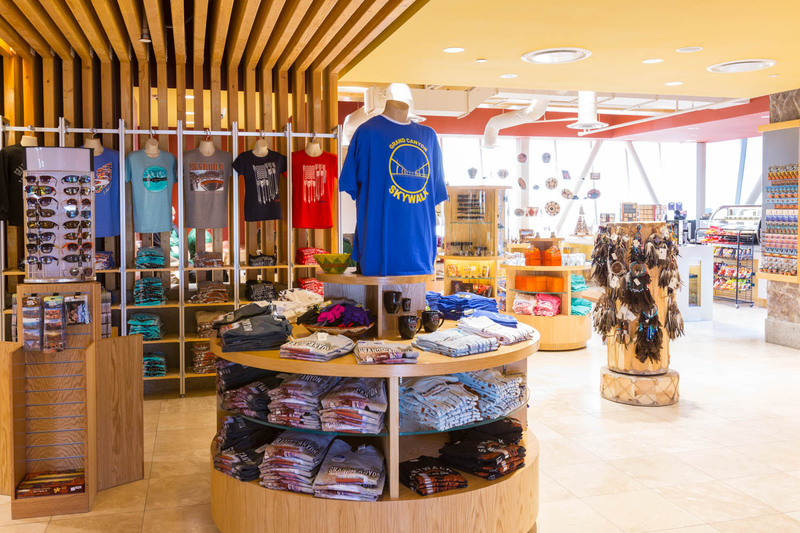 There are several shopping locations at each Grand Canyon West viewpoint where you can purchase Grand Canyon West and Skywalk memorabilia, jewelry, and other items crafted by Native American artisans as well as Old West-style memorabilia. How do I get Pictures of me on the Skywalk? We have trained photographers on the Skywalk who will take your picture in a variety of poses if choose. They will give you a card which you can turn in at the photo counter to retrieve the photos that were taken. Do I have to buy every photo the photographers take? No. You can choose as many of the photos as you like. They can be printed or placed on a data stick. What is the Zip Line weather policy? The Zip Line at Grand Canyon West will suspend operations in inclement weather. In the event of weather related tour cancellations made by The Zip Line at Grand Canyon West guests will be issued a 30 day rain check good for the full value of the reservation. The Zip Line at Grand Canyon West does not make cancellation decisions based on forecast, all decisions regarding weather will be made same day.